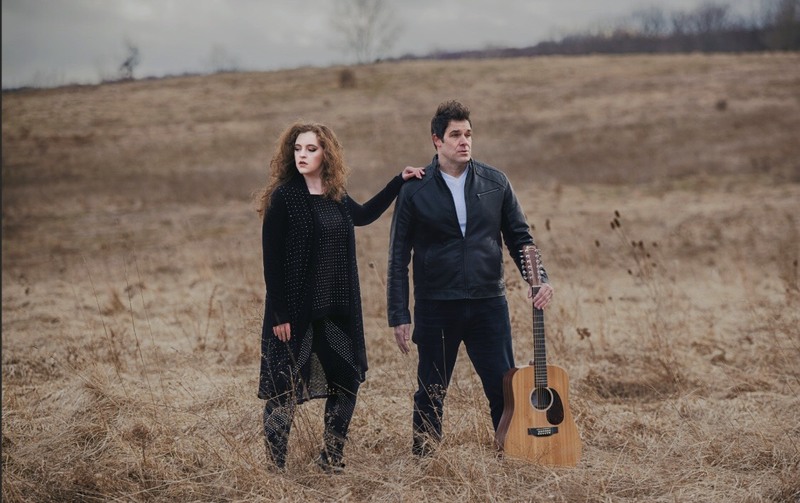 The Frost's Duo Talks About Being Happy and Music! Multi-genre based act THE FROST consists of LeahBeth Evans/lead vocals and Christian Gratz/Guitar/piano. Together this duo does what makes them happy, making and playing music, but happiest when others enjoy it! With that said, this duo got together to talk about their music and being so happy go lucky doing what they do! The Frost consists of two members. LeahBeth Evans and Christian Gratz. We started as a cocktail duo back in 2015. Prior to that, Leah had a career as a jazz singer, and Christian was a featured guitarist for many shows including shows with Three Dog Night, The Grass Roots, The Stylistics and more. We are based out of Scranton/Eynon Pennsylvania, United States. The music scene is hopping. Most venues have music at least twice a week. Sometimes, every night of the week. Our friends project 90’s are a pretty cool local band worth checking out! There’s so many others we could name too. We consider ourselves multi-genre. The last two singles we released were Country and southern rock. We’re going into the studio tomorrow to record a pop/disco tune. Our style is whatever Music we feel like playing and creating. So far we have only released two singles. They are vastly different. From our first single, "Be Ok", you can expect a relatable heartbroken feeling. If you’be been broken up with or ghosted before. You’ll find this song relatable. Our newest release, "Gotta Live Fast", is completely opposite. It’s fun and upbeat. You can expect to tap your foot to this one. We went for an "outlaw" sound on this song. We wanted to write a country song different from others but try to keep a traditional sound to it. He’s we do. We are constantly writing and will be going into the studio tomorrow. This song will be very different from our last two. Plan to hear a pop-nu disco tune from The Frost! We are very fortunate to live in an area where music business is booming. We have not toured out of the country yet, but we play a minimum 8 shows a month year round. You can catch us often in the tri state area. We hope to keep growing and improving, and continue to keep our audiences happy! Right now you can download and stream "Be Ok" and "Gotta Live Gast" on multiple platforms. You can also find covers and videos on our YouTube, Instagram and Facebook page. Here are the links! Also available on Amazon Music, google play, etc. The instrumentation used in each song!